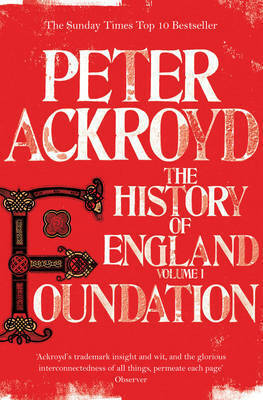 I enjoy Peter Ackroyd's non-fiction writing as his prose is always engaging and story-like while also including so much detail and careful research. Foundation is a wonderful start to this new series, which I look forward to reading in its entirety once completed. Although I'm already pretty well versed in English history, I learnt a few new things along the way and I particularly appreciate Peter's unbiased accounts of the different kings and queens of early England. Now on to book two and the Tudors!